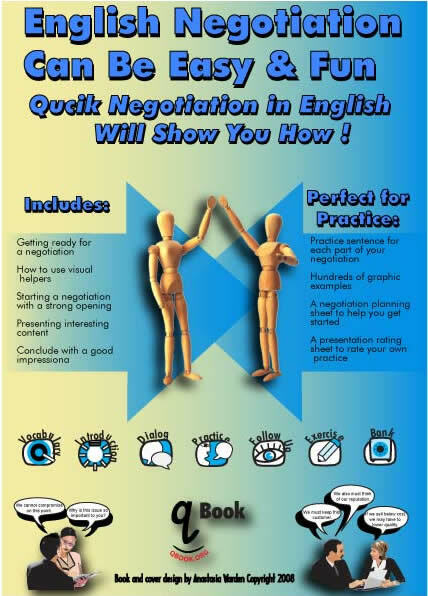 Quick Negotiations in English Will Show You How ! 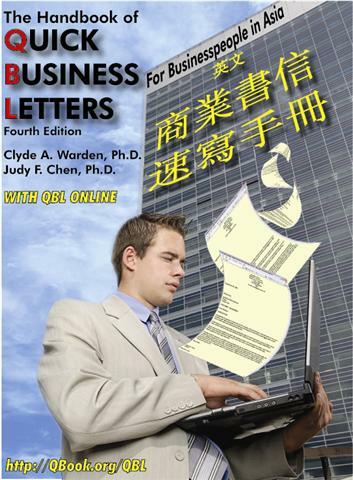 The Handbook of Quick Business Letters is the most comprehensive business English book for students in Taiwan today. Every letter type is covered with emphasis on paragraph development. Hundreds of real examples are included focusing on the standardized formats most often used in the business world. Translations of important terminology are included in the back of the book along with Chinese notes in the margins to assist students quickly find what they need. Evidence of the importance of international business in Taiwan's export driven economy is all around us. English plays a vital role in the international business environment and therefor has become an important field of study to businesspeople in Asia. This handbook has been created to help a person quickly write the most important business letters used today. After studying thousands of sample business letters, from around the world, we have summarized what are the most common paragraph structures for each type of letter. Sample paragraphs, sentences, as well as whole letters, are included in each chapter. The ten parts of this book cover the range of most business letters and letter formats commonly used today. Parts are intended to be independent of each other and need not be studied in order. An introduction of what information is covered in the part. A table of contents that lists the chapter titles and page number of the part's summary. Chapters that introduce specific letter types and include examples. Exercises that provide practice for the material covered in the chapters. The first exercise of each part is labeled EXERCISE A. A summary that reviews the main points of the part. An explanation of the letter's business uses and objectives. An introduction to the generally used format of the letter. A supplement section that includes examples of sentences used in each paragraph. Exercises that supply practice for the material covered. Full examples of the letter type with notes pointing out the examples' main features. Words that are followed by a  have a Chinese translation in the back of the book (beginning on page 316). In chapter margins, Chinese explanations are included to assist in the quick reference of information. A comprehensive teacher's manual is given to any teachers using The Handbook of Quick Business Letters. 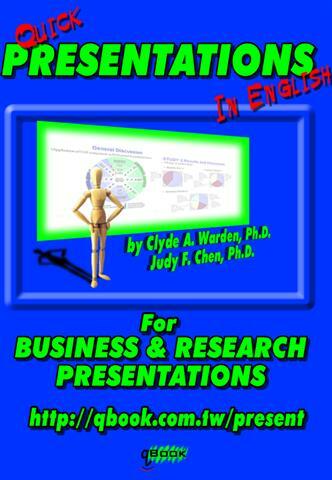 This book is geared to help reduce workload on a business writing instructor. Special considerations have been made for teachers with little business background. 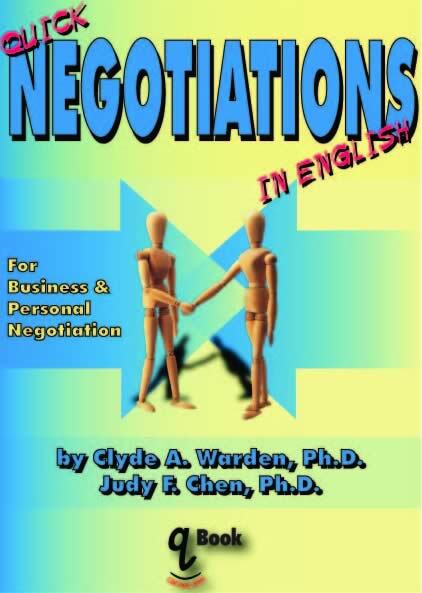 Even if you have no business experience, this book can get you up and running with the necessary concepts and background needed for teaching business English. Hundreds of quiz and test questions are included in numerous computer word-processing formats. Question types include short answer, gap exercises, multiple choice and essay. All questions are arranged by chapter, so you can just copy out questions from the chapters you have covered and in no time your exam will be ready. English Mechanics introduces the details of many English writing rules that are easy to forget and not often covered in normal English classes, yet these rules play an important role in standard English and even more so in business English. Rules about the placement of underlines, quotation marks, semicolons, dash, etc., are covered with plenty of examples and simple exercises. This small book is a great resource for students and also a good exercise book. This new book can help anyone overcome their fear of making professional presentations. 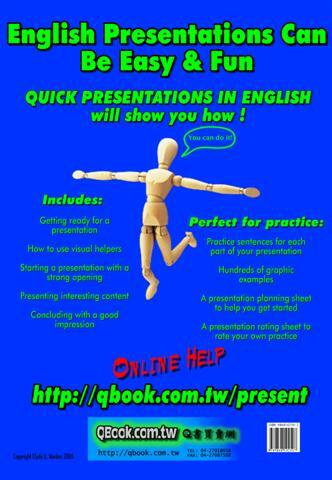 Through a structured approach, presentatins are easy to learn and teach with this guide. With many years of experience, Professor Warden makes this difficult skill seem easy. The English text is easy for students in Taiwan to follow while each point is followed up with graphic examples. The newly established Applied Foreign Language (AFL) Department is preparing students to meet Taiwan's needs in the new information/technology based global economy. Just what are the issues facing this new direction for language learning in Taiwan? The Communication & Culture (C&C) conference series seeks to answer this question. This first book of the series is a collection of papers that directly investigate what is needed in this new environment of language teaching. The twelve original articles, written by researchers in Taiwan, present both empirical and practical insights for language teaching in the new AFL Department. This book is an essential resource for anyone working within the context of the AFL Department in Taiwan, while also being a valuable contribution to ESL/EFL research in general.